Kansas Gov. 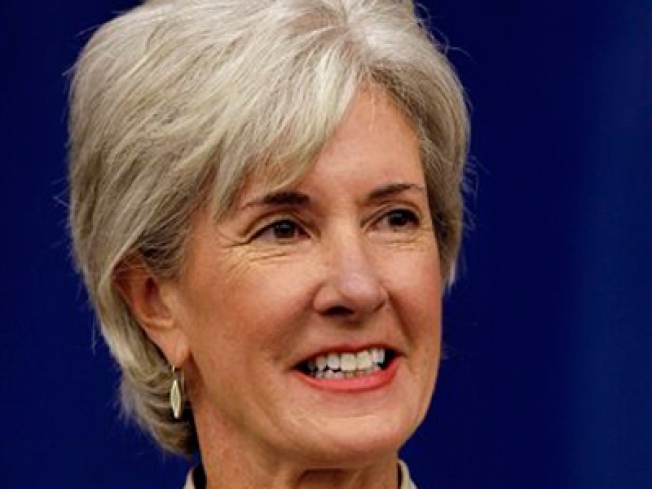 Kathleen Sebelius is at the top of the list to head Health and Human Services. Kansas Gov. Kathleen Sebelius was very near the top of President Barack Obama's list of candidates to head the Health and Human Services Department, a senior administration official said Saturday. The source, speaking on the condition of anonymity to discuss private administration deliberations, said no decision was imminent. But the official added the former Kansas insurance commissioner was rising as Obama considers prospective candidates. Sebelius would be Obama's second choice for the slot. Former Sen. Tom Daschle had to withdraw his name amid an admission he had not paid taxes on a car and driver since leaving Congress as a Democratic leader. White House spokesman Reid Cherlin on Saturday said no decision had been made. Sebelius was an early Obama supporter, picking his presidential campaign over that of Hillary Rodham Clinton, now the secretary of state. Sebelius worked tirelessly for Obama's bid and was a top surrogate to women's groups. Advocacy groups like the consumer watchdog role 60-year-old Sebelius played as insurance commissioner for eight years before she became governor. Her name had been floated for several Cabinet posts, but she announced in early December that she had removed herself from consideration from a Cabinet job, citing Kansas' budget problems that needed her attention. The two-term governor remains popular in her state and comes from a strong political family. Her father, John Gilligan, was the governor of Ohio in the early 1970s. She also advised Obama's campaign on how to connect with women, especially after Republicans picked Alaska Gov. Sarah Palin as their vice presidential nominee. Sebelius was in town last week to give a pair of speeches, one on clean energy jobs and the other at the National Education Association. She also met at the Ritz Carlton hotel with Obama adviser Valerie Jarrett. Sebelius' trip was planned before Daschle bowed out as nominee for HHS secretary as a result of fallout from about $140,000 in back taxes and interest he paid last month. Tennessee Gov. Phil Bredesen also was on Obama's list to run the nation's massive health programs. Already, though, some advocacy groups were lining up to oppose the Democratic governor. He remains under consideration, the senior official said.